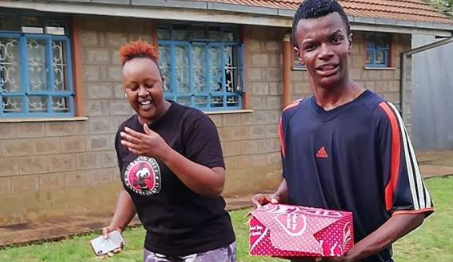 Kamau Mbaya, a popular actor who many know as Baha from his role in Citizen TV program Machachari, is no longer the kid we used to see on TV. 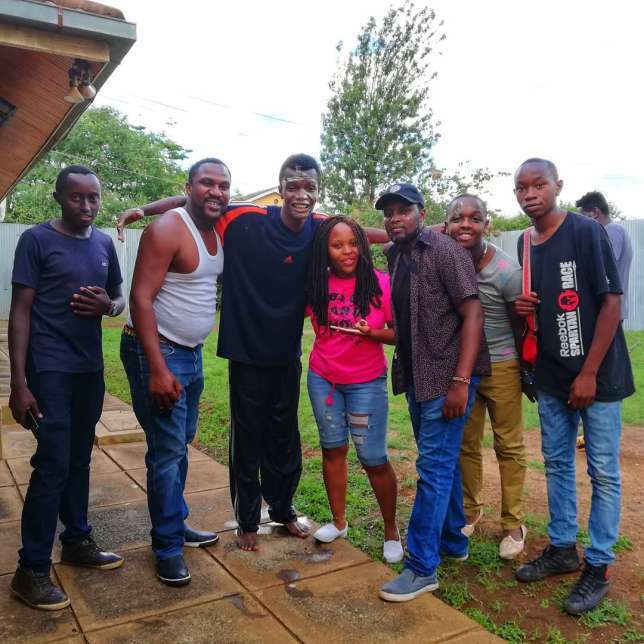 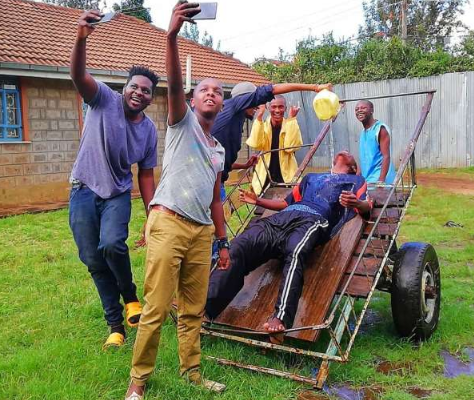 Baha has now grown into a man and recently celebrated his 18th birthday which saw the Machachari crew shower him despite the pounding rains that has been causing havoc lately. 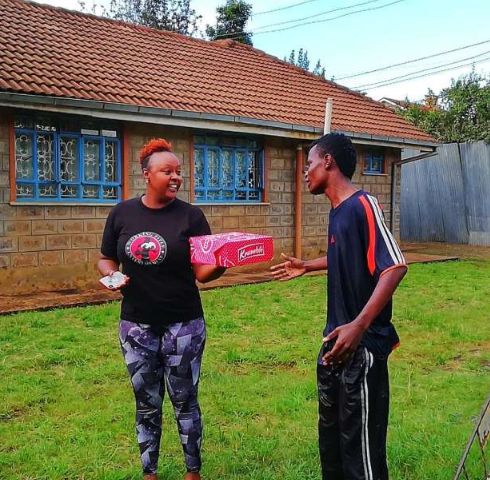 He was also given a cake after the forced called shower.